Meizu is soon going to launch a smartphone with no physical buttons. This unusual phone, that was leaked on TENAA, is called the Meizu Note 9. There is going to be a main camera setup in the centre of the back panel. The 48MP shooter is going to be situated in the upper left-hand corner, protruding a bit. Also, there is a fingerprint scanner at the back. The mBack physical key that was incorporated in earlier phones has been discarded with. We are yet to hear more about this device. We are not sure if the Meizu Note 9 will have pressure-sensitive buttons or not. But by the looks of it, it might just have them, similar to what we had seen on the HTC USqueeze smartphone. Back in June, reports talking about a smartphone where the mBack physical key is to be replaced by a fingerprint sensor. This particular smartphone was known as the Meizu 16. The smartphone comes in two variants. The first one is powered by Snapdragon 710, and the other with Snapdragon 845. Meizu has been launching devices that are quite a part of today’s trend such as the ones with notches and bezel-less designs. The Meizu Zero is one such smartphone. 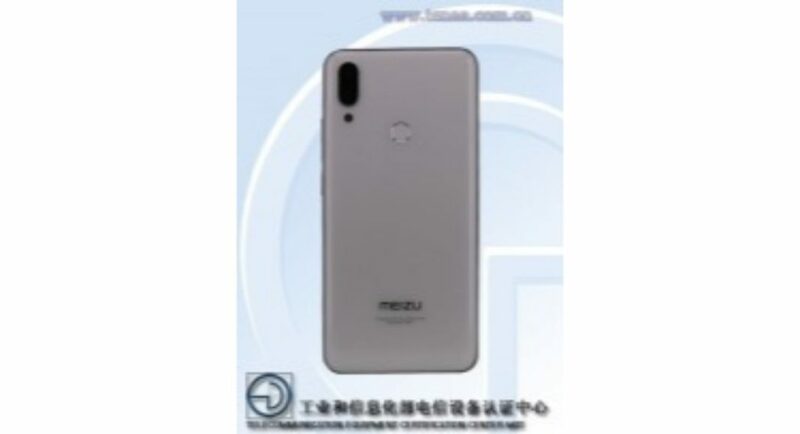 To recall, the Meizu Zero was announced a month back and is expected to launch in this quarter. It’s expected specifications are a 5.99-inch 1,080×2,340 display with an aspect ratio of 19.5:9. The smartphone is powered by Qualcomm Snapdragon 845 SoC. It comes in two RAM variants—4GB and 6GB. While the former brings 64GB onboard storage, the latter brings 128GB. There is a dual rear camera setup that consists of a 12MP and a 20MP sensors. The selfie camera on the front consists of a single sensor of 20MP. Connectivity options include WiFi 802.11, Bluetooth 5.0, GPS and NFC. Sensors, include fingerprint, accelerometer gyro, proximity and compass. The Meizu Zero is powered by a non-removable Li-Ion battery that has 18W fast charging capability. The smartphone comes in two colours—black and white. Coming back to the Meizu Note 9, the smartphone is expected to be a flagship, and not a mid-ranger. It is expected to come with a 6GB RAM, which will be coupled with a 64GB onboard storage and a 128GB onboard storage.